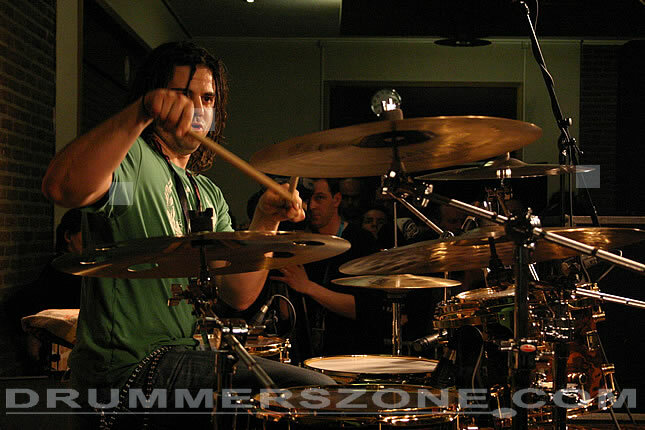 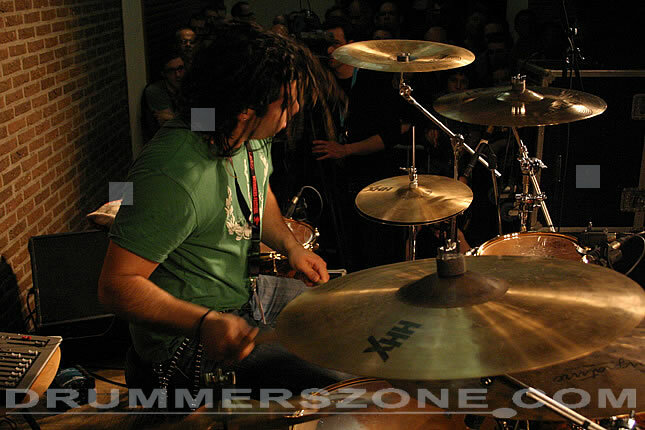 Drummerszone - Louis Santiago Jr. 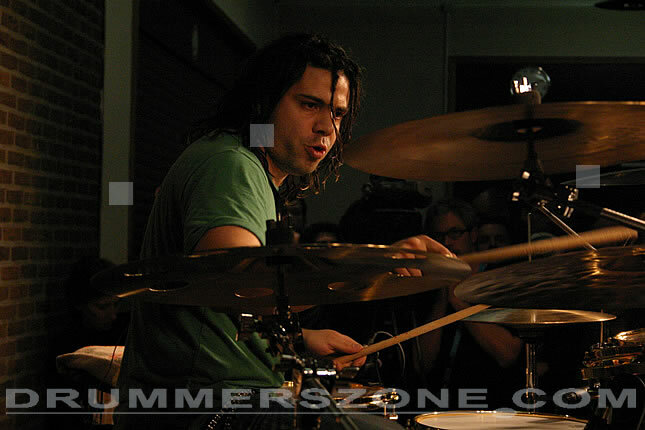 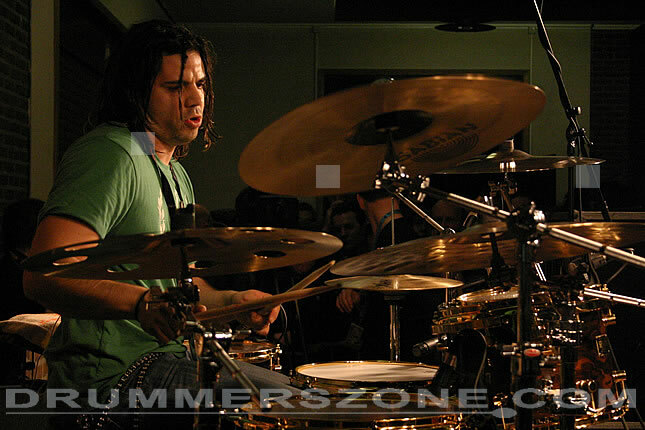 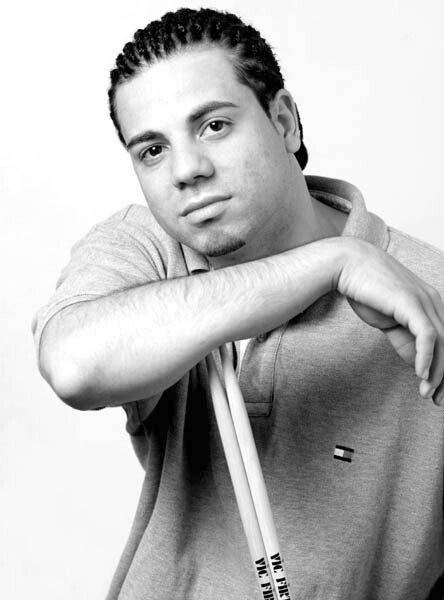 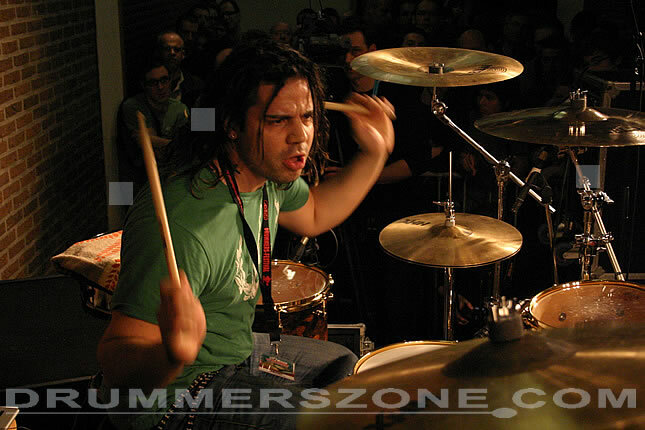 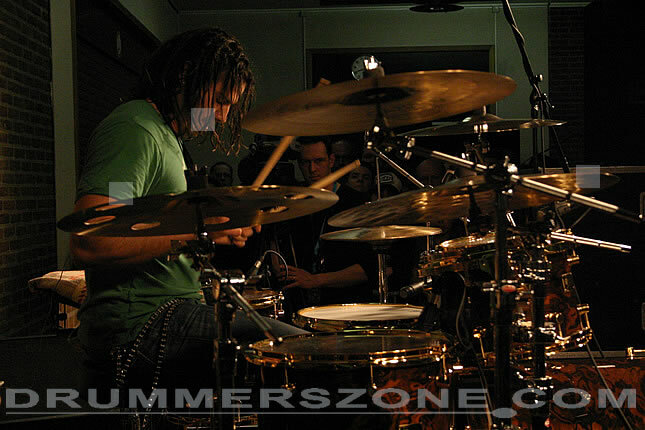 Artist biography Louis Santiago Jr.
New York based Louis Jr. is the winner of Modern Drummer�s undiscovered drummer contest (over 18) where he debuted at the last MD Festival in May 2003 and then toured with legendary trumpeter Maynard Ferguson and his Big Bob Nouveau Band. 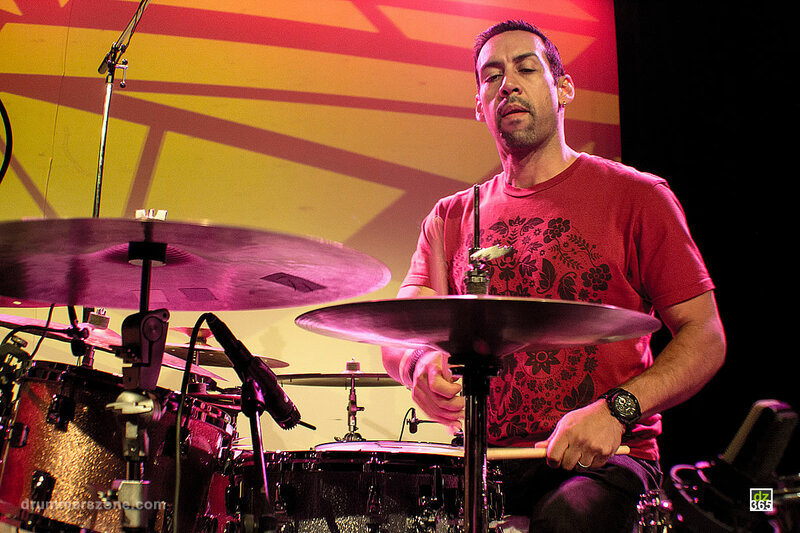 Thirty year old drummer Louis Santiago Jr. has already had a remarkable musical career that is the stuff urban legends are made of. 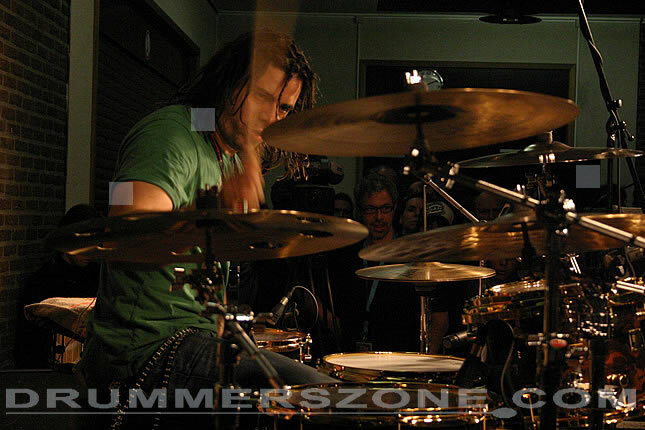 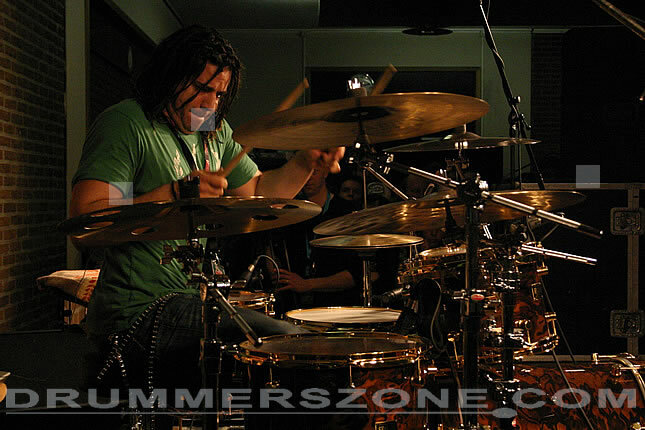 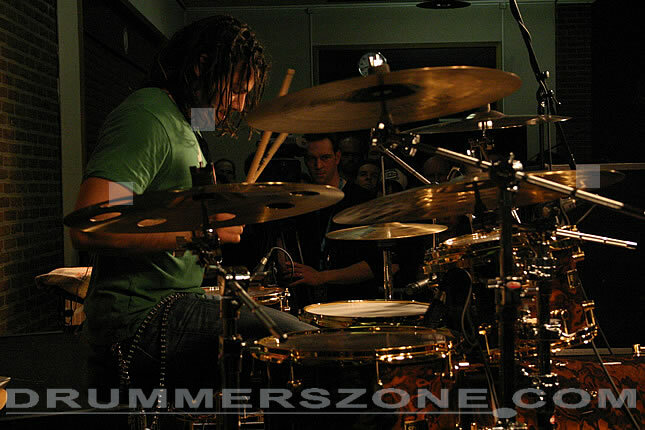 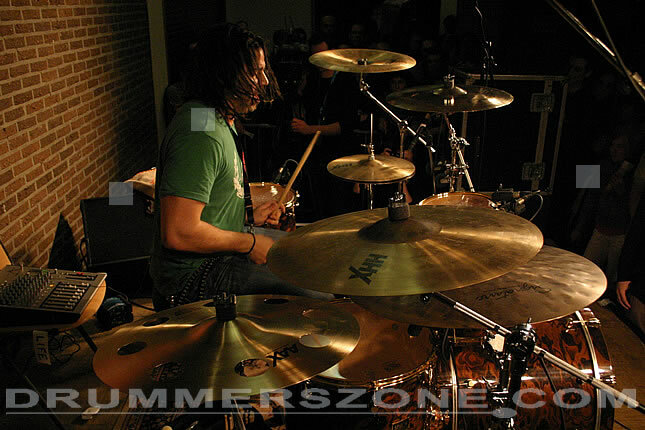 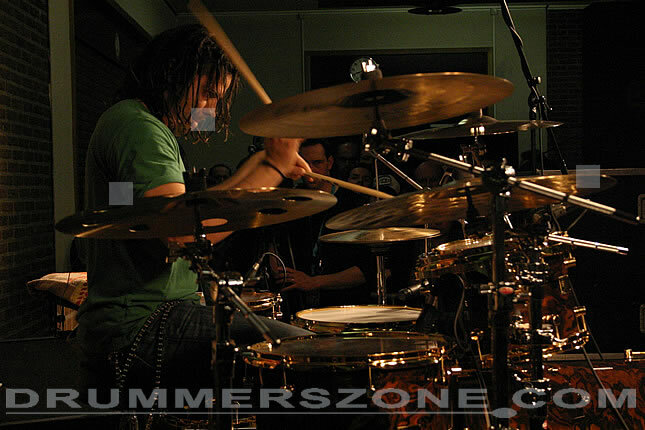 Born in New York City in 1976, Lou did not purchase his first drum set until he was eighteen. 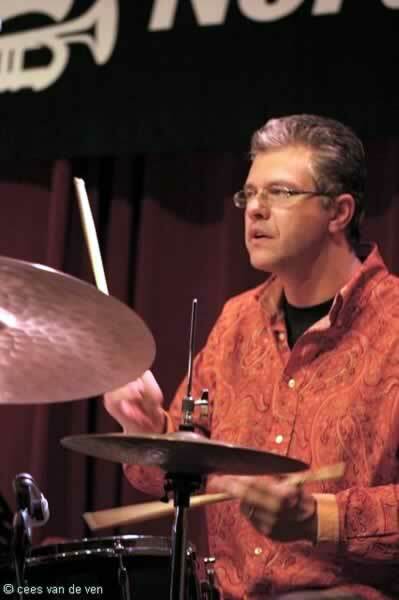 After two years of eight to twelve hours of daily practice, he quit playing and joined the Navy - intent on earning tuition money to attend the Drummer's Collective in New York City. 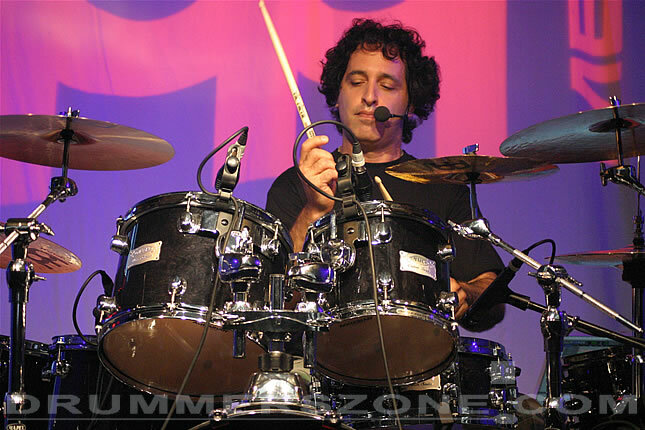 Five years later, during his last year of enlistment, Lou finally picked up his sticks again and, incredibly, after eight months of practicing, won the 2001 Guitar Center South East Regional Drum-Off, placing him 7th in the nation. 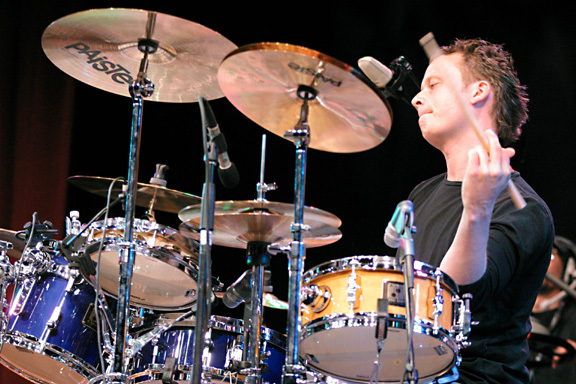 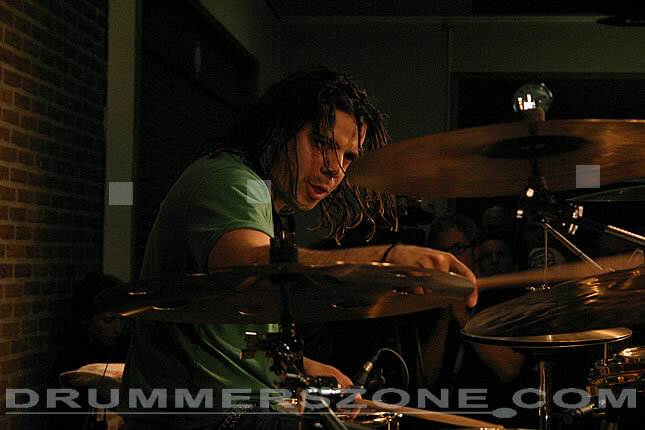 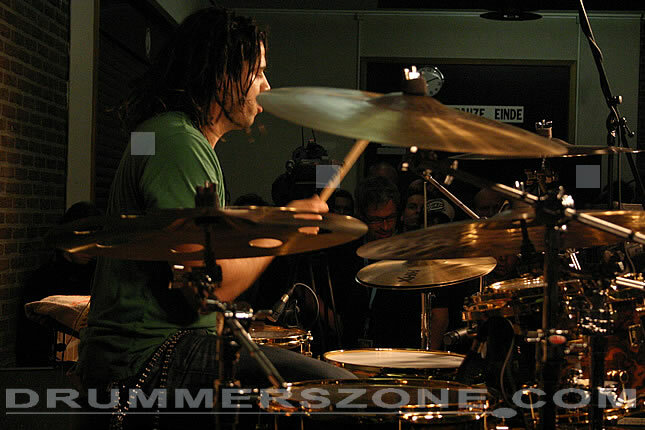 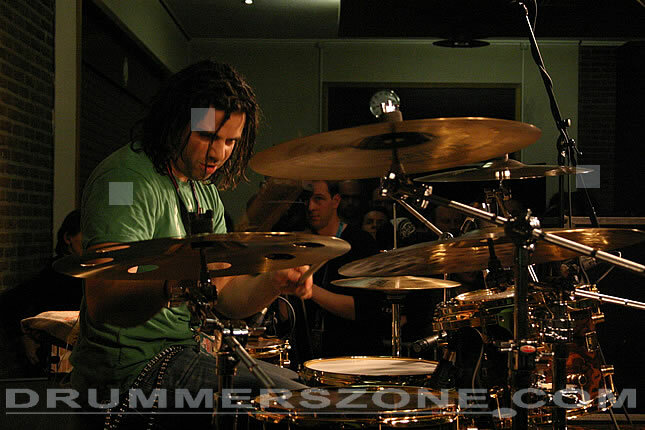 Two years later, in 2003, he won the over 18 age division of Modern Drummer's "Undiscovered Drummer" contest and then toured with legendary trumpeter Maynard Ferguson and his Big Bop Nouveau Band. 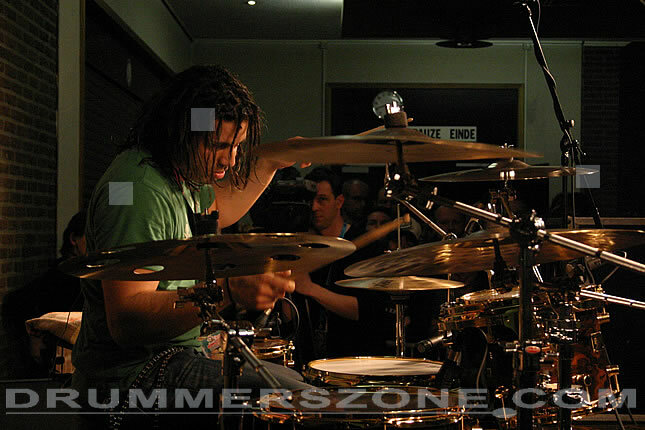 "Louis is without a doubt one of the most exciting new young drummers on the scene. 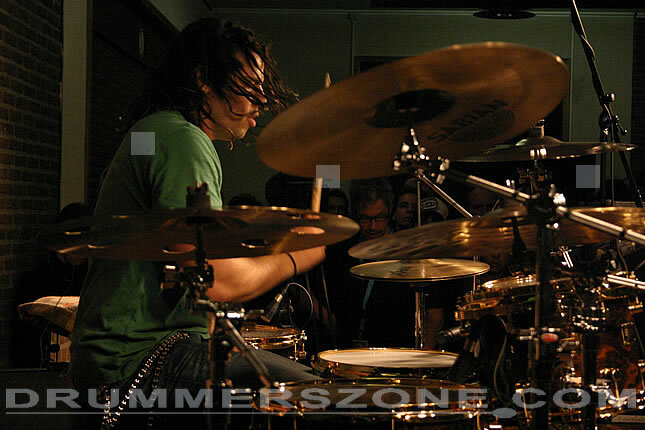 He is dedicated to his craft and I look forward to watching the progress of his career!" 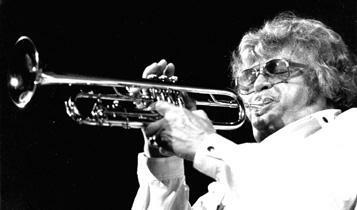 says the venerable Ferguson. 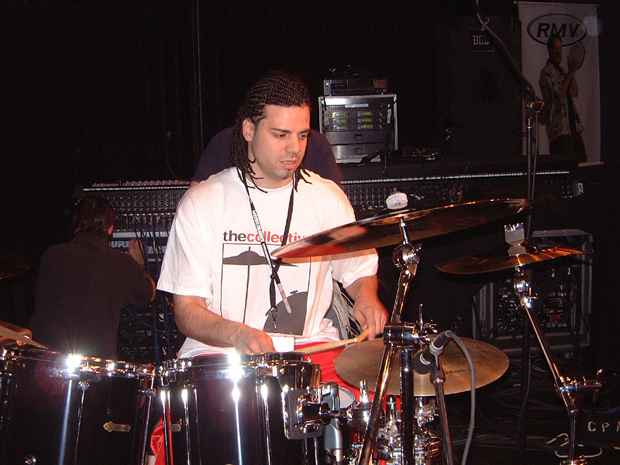 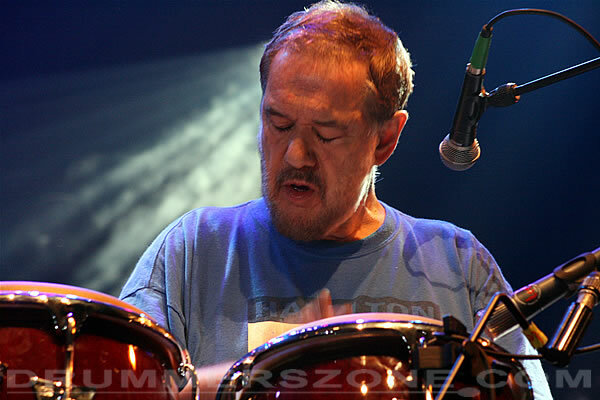 Since then, Lou has gone on to work with some of the industry's finest artists, such as afro-cuban/jazz bassist, John Benitez, top German session bassist, Martin Engelien, Del Sol (latin pop band, Curve Records), Drummers for Jesus, Lamar Boschman and the International Worship Institute, just to name a few. 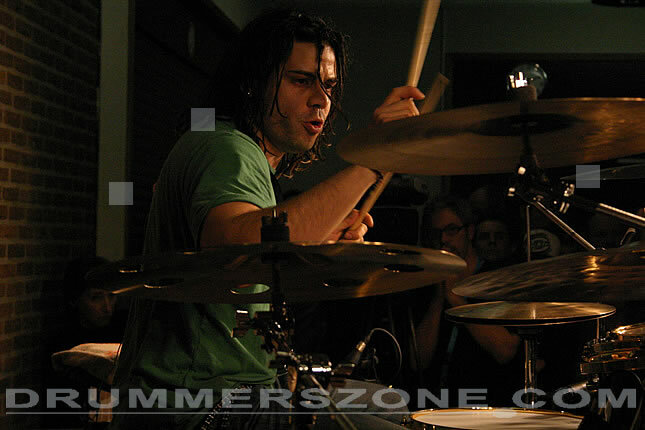 Recently, Lou has joined forces with Jeff Deyo, one of today's prominent worship leader's formerly of Grammy nominated Christian rock band Sonic Flood. 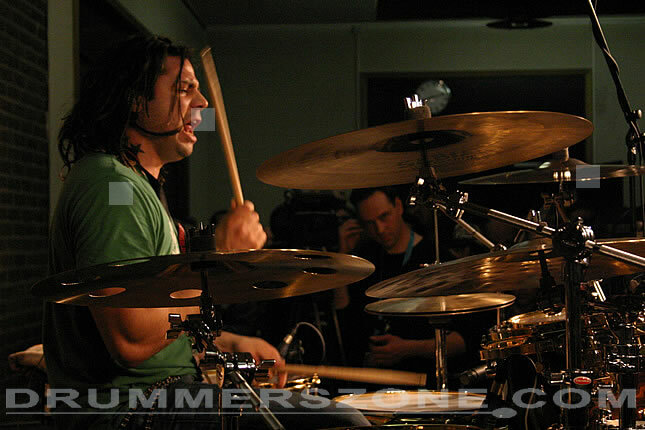 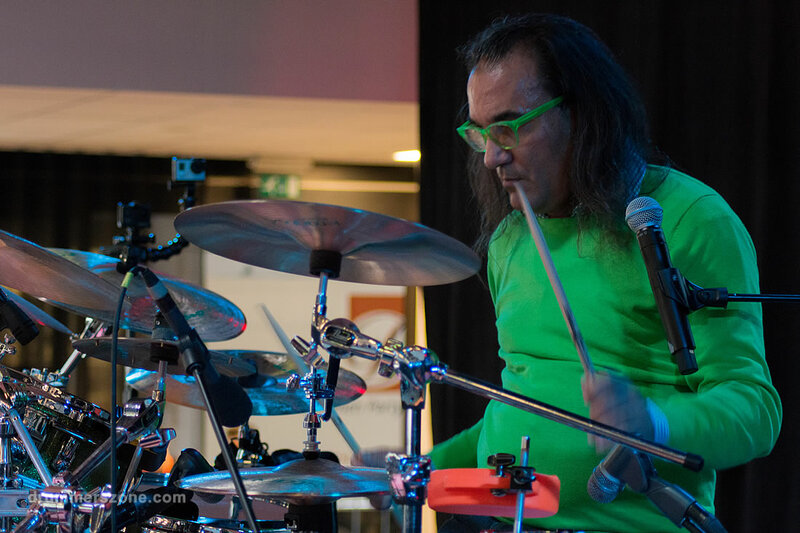 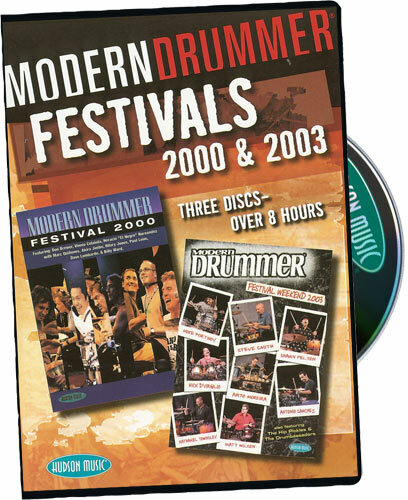 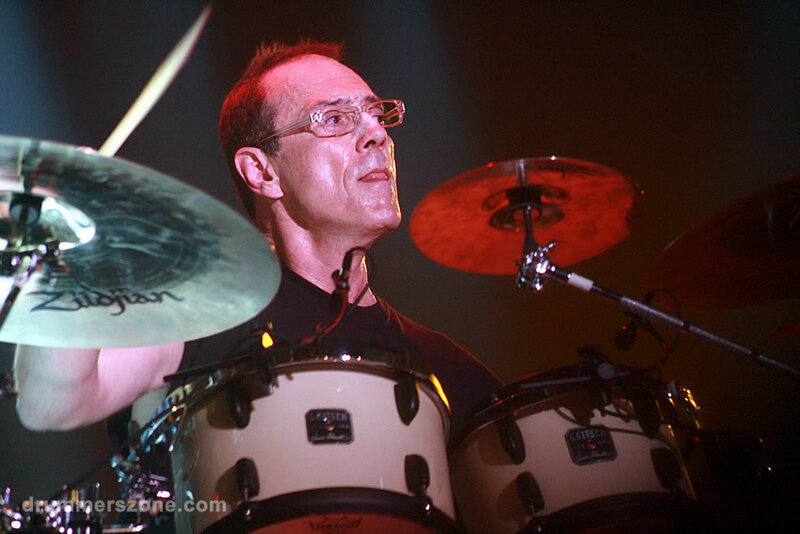 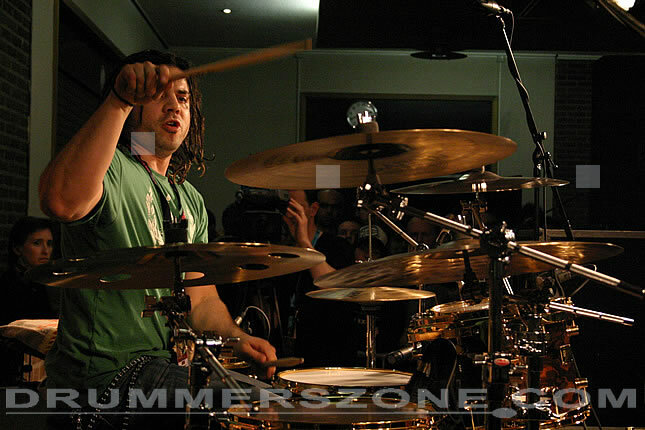 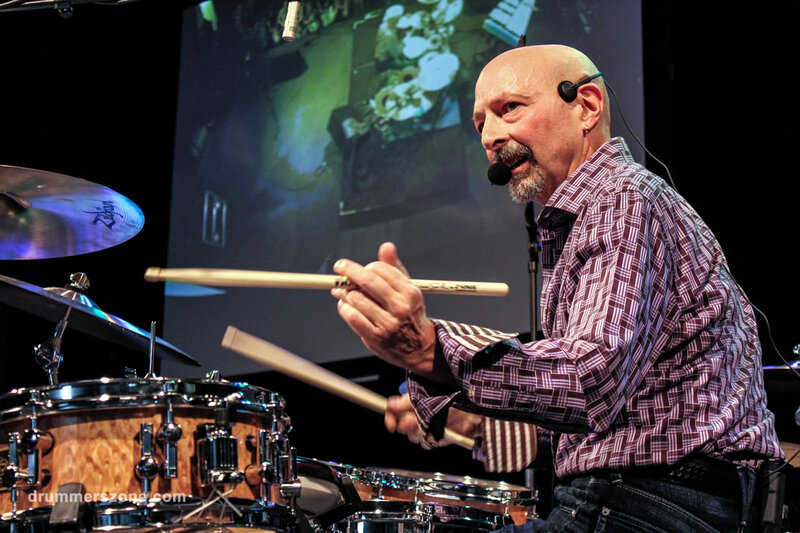 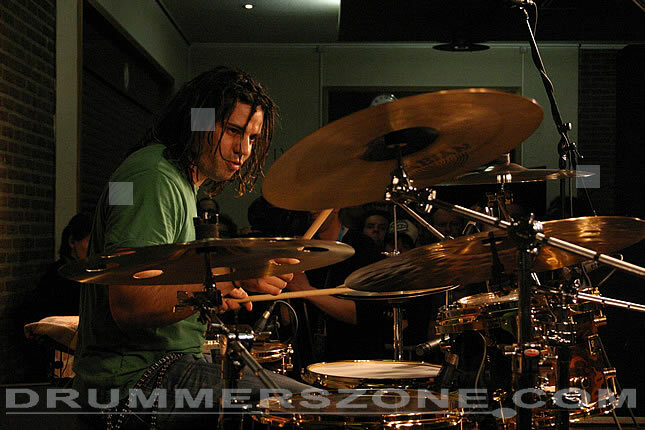 In addition, he has been very successful as a clinician, inspiring and influencing drummers of all ages in Europe and the US. 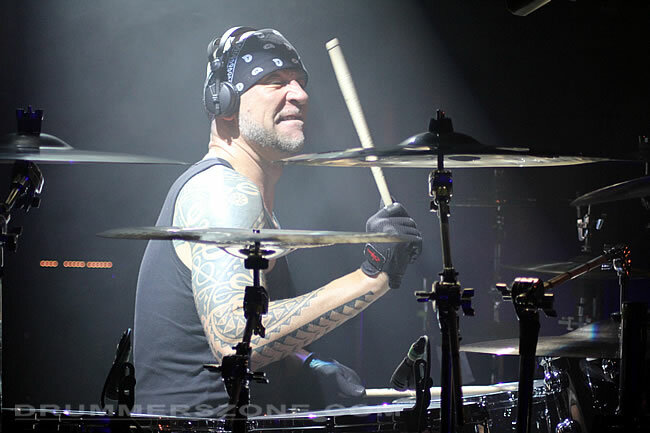 Highlighted in Modern Drummer Magazine, Lou says his goal is, "To become a better person and drummer than I was yesterday. 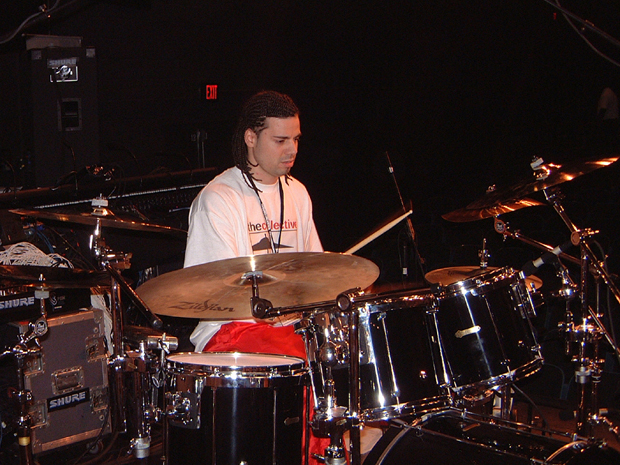 I sincerely believe that music both inspires and speaks to people. 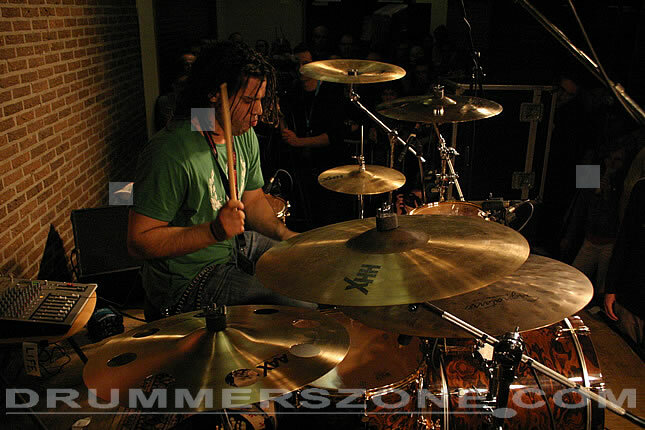 I pray that my drumming does the same. 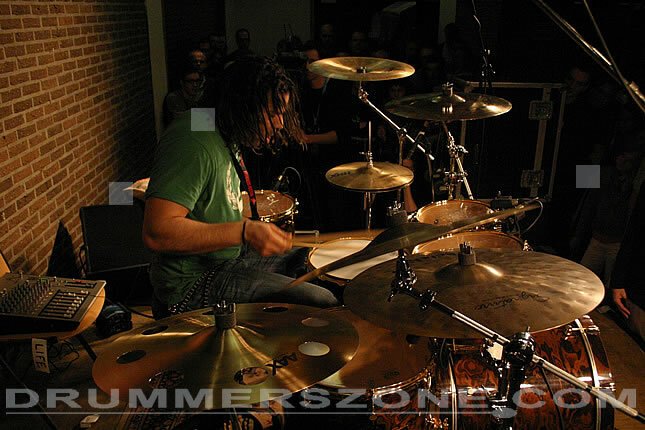 This isn't just a job or hobby for me. 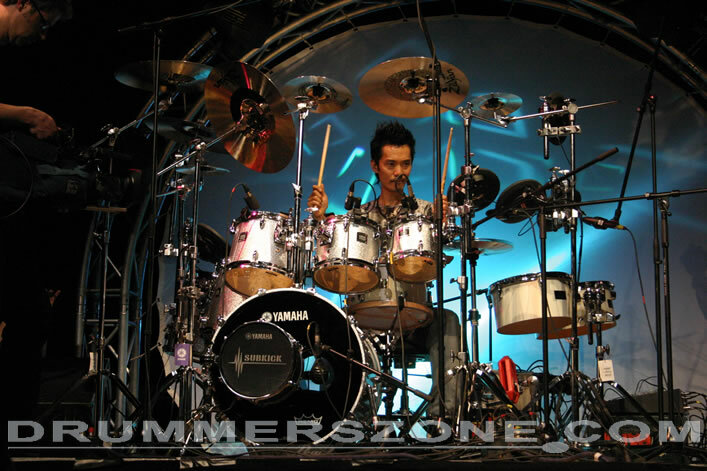 I understand fully that it is a ministry given to me from GOD the father to further his kingdom." 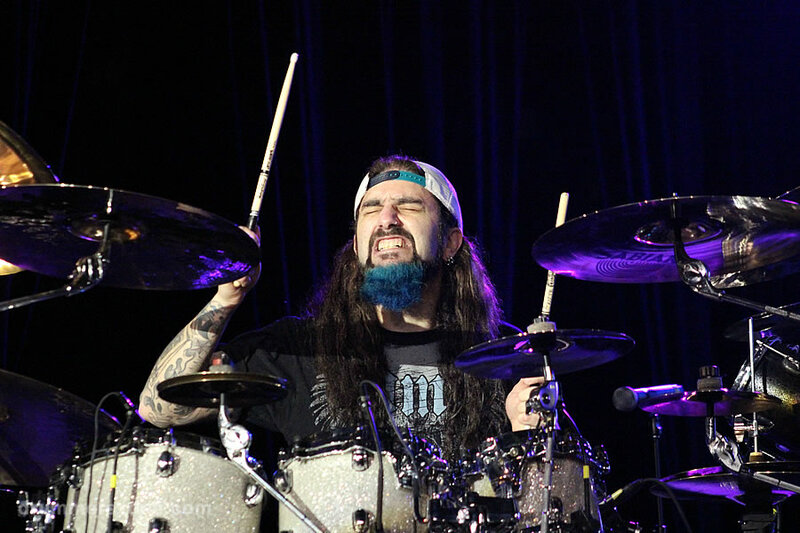 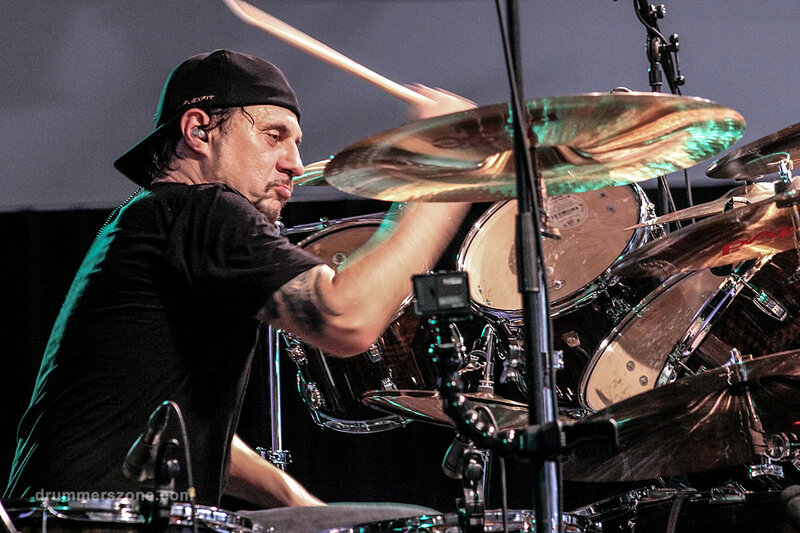 After playing for little more than 4 years, Lou's prodigious talents have earned him endorsements from Spaun Custom Drums, Sabian cymbals, Evans Drumheads, Vic Firth Drumsticks, and Shure Microphones.